Change is not innovation. External forces such as a new competitor or new distribution channel forces retailers to change. Consumers eager to buy new furniture are often just as eager to get rid of their old furniture – but there’s one small problem. New home purchases spur new home furnishings purchases like no other life event. This month’s theme deals with Retail Innovation and new ideas that have freshened up our stale industry in the last decade or so. If there’s one piece of furniture that establishes the style and décor of a home, it’s the sofa. 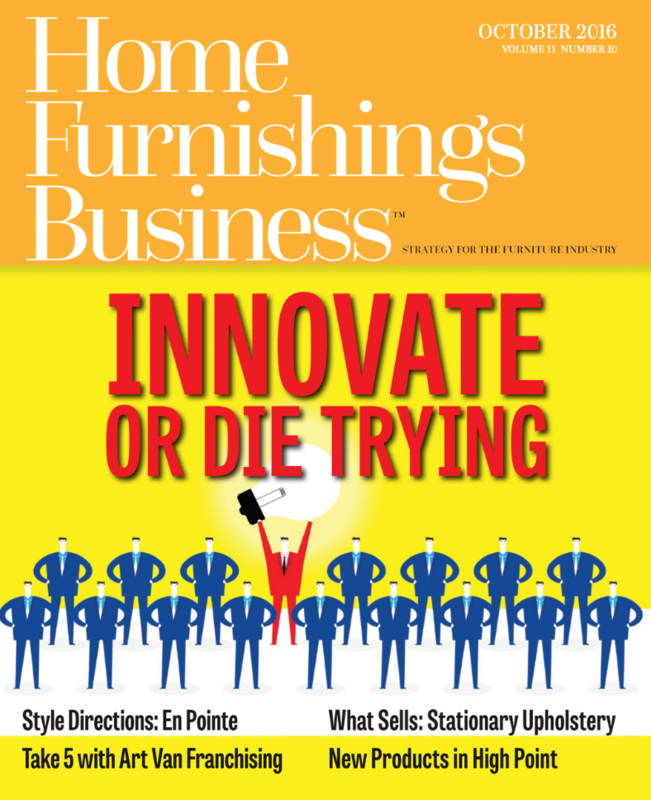 Five years ago, Art Van Furniture plunged into the world of franchising, but the Midwestern retail heavyweight opted for an unconventional business model that exclusively sought out existing furniture store owners as potential franchisees. This issue’s focus is on innovation, a focus that we plan to repeat each year.